1. For those that have never heard of before, can you tell us a little bit about the band? 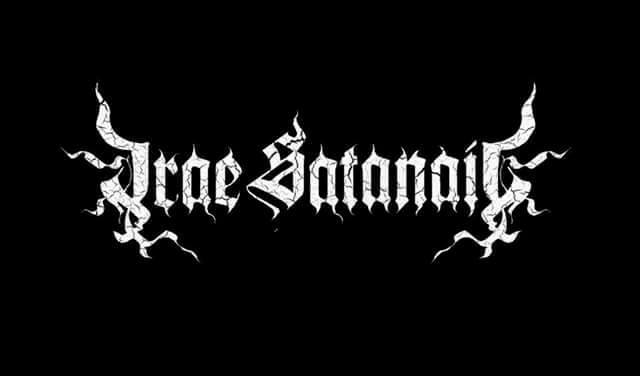 Well, Irae Satanail is a Black Metal band from South America, Colombia, the city of Pasto - Nariño exactly, we have been playing in the underground since 2005, telling dark and antichristian stories in our lyrics in Spanish, we think and support that the bands sign in its nattive language, and we have been influenced by many bands from the South American and Colombian Cult, but for this upcoming album may be some lyrics in English too. We grew up listening all of those black metal bands from the 90’s with those dark and supreme well done melodies, fast drums, and atmospheric passages that let you in at the realm of shadows, the black metal of the 90s reflected something epic and special. 3. The band has been around since 2005 but the first full length, is not scheduled to be released until 2018, can you tell us a little bit more about the long wait? We were very young when start to play and It was an apprenticeship of several years We record some songs with low quality and play live in many cities of our country with good support from black metal scene. Now we have a solid spiritual philosophy at the left hand path, and we have grown in all aspects. We are ready to spread the flame now. I. S. Start writing satanic and antichristian lyrics, now we walk The Left Hand Path, and its occult doctrines to shift the conscience to self divinity and illumination, we write about that experiences. 5. 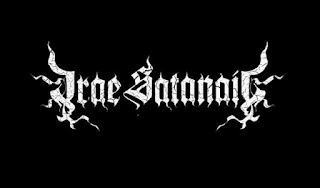 Originally the band was known as 'Sucor Benoth' what was the cause of the name change and also the meaning and inspiration behind the name 'Irae Satanail'? The evolution in the ideology of the band and the need to have a unique and unrepeatable name make change it. the show we share with Inquisition in Cali – Colombia were magnificent. Our shows are full of strength, really a discharge of energy and a tribute to the light carrier. If any label are interested can contact us. At the moment we have been auto sufficient. Few black metal fans around the world know about I. S. But this path is not made for crowds. Life is about evolution, we don't now what the future holds, but we will be making our dark art till the end. As i said many South American and Colombian bands were influenced our way, also of course many of the Scandinavian scene too, specially Swedish Black Metal. Nowadays are too many bands outside, a few we listen are, Ignis Haereticum, Gexerott, Dantalian, Cabra Negra, Azoth, from Colombia, Morbosidad, Yaocuicatl de Mexico, Conceived By Hate from El Salvador, Wisdom from Paraguay, Patria from Brasil, and worldwide, Uada, Nordjevel, Bathushka, Acrimonious, Acherontas, Inferno, Nightbringer Etc..
12.How would you describe your views on 'Satanism' and 'Occultism'? Our view of Occultism are routed to the destruction and creation of our own gods and demons from the abyss of our dead egos.